These mustaches are great for parties, holidays, and weddings! 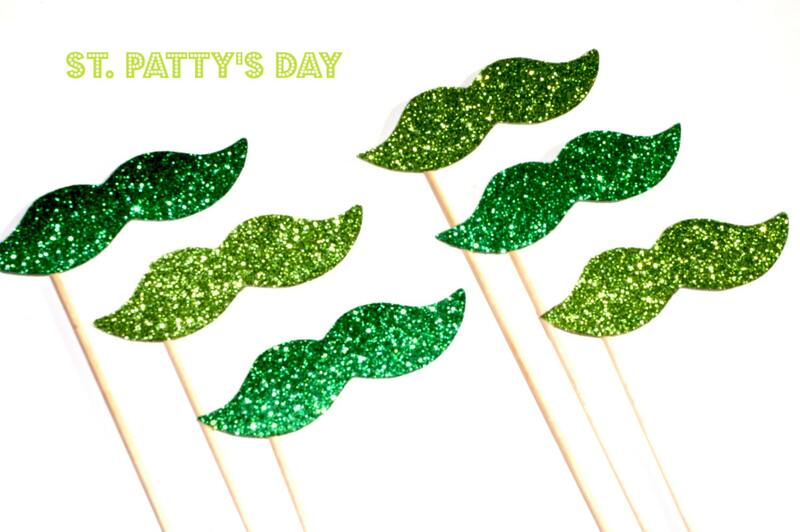 This collection features 6 gorgeous glitter staches in shades of lime green and kelly green! This listing is for a set of 6 ultra-cool props on a stick!